Tasman Tanks design, manufacture and install the largest range of high quality liquid storage tanks in Australasia, and has done so for the last 25 years. Sydney Branding Services was called in to pull together their corporate identity and standardise the promotional material. We revitalised their existing logo and ensured that the Tasman identity was extended consistently through all corporate communication and marketing. 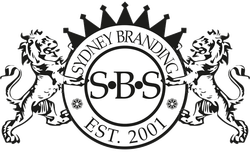 Sydney Branding Services designed a range of industry specific brochures, the corporate capability brochure and a new corporate website.